Amazon tracks its competitors extremely closely. So when an upstart called Diapers.com began catching on with parents by allowing them to easily schedule recurring orders of diapers and other essentials, Jeff Bezos took notice, reports Businessweek’s Brad Stone in an excerpt of his forthcoming book about Amazon. A website called Diapers.com may not sound like a major threat to a global online-retail giant, but Bezos did not take it lightly. 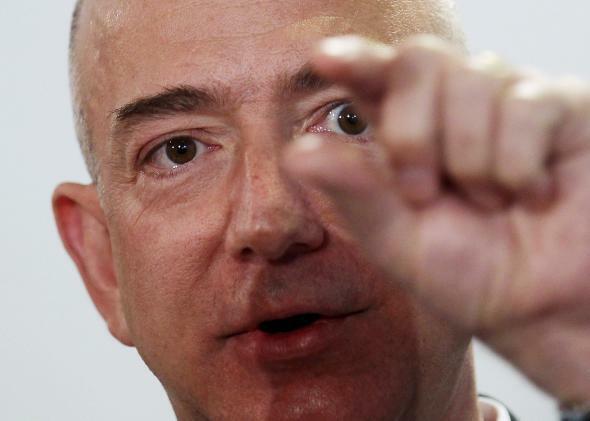 Bezos, by Stone’s account, does not take anything lightly. Soon after, Quidsi noticed Amazon dropping prices up to 30 percent on diapers and other baby products. As an experiment, Quidsi executives manipulated their prices and then watched as Amazon’s website changed its prices accordingly. Amazon’s pricing bots—software that carefully monitors other companies’ prices and adjusts Amazon’s to match—were tracking Diapers.com. Over time, Amazon’s price drops began eating into Diapers.com’s growth. Investors grew wary of pouring more money into the startup, given the competition. Quidsi’s founders were forced to consider selling, and they began talks with Wal-Mart. Then, in September 2010, they traveled to Seattle to meet again with Amazon. On the very morning of the meeting, Stone writes, Amazon rolled out a new service called Amazon Mom, offering huge discounts and free shipping on diapers and other baby supplies. Back in New Jersey, Quidsi employees desperately tried to call their founders to discuss a public response to Amazon Mom. The pair couldn’t be reached: They were still in the meeting at Amazon’s headquarters. Quidsi could now taste its own blood. At one point, Quidsi executives took what they knew about shipping rates, factored in Procter & Gamble’s (PG) wholesale prices, and calculated that Amazon was on track to lose $100 million over three months in the diaper category alone. Amazon made an offer, and Wal-Mart responded with a counter-offer. But Bezos was playing hardball. When Bezos’s lieutenants learned of Wal-Mart’s counterbid, they ratcheted up the pressure, telling the Quidsi founders that [Bezos] was such a furious competitor that he would drive diaper prices to zero if they sold to Bentonville. The Quidsi board convened to discuss the possibility of letting the Amazon deal expire and then resuming negotiations with Wal-Mart. But by then, Bezos’s Khrushchev-like willingness to use the thermonuclear option had had its intended effect. The Quidsi executives stuck with Amazon, largely out of fear. The deal was announced Nov. 8, 2010. For more on how Bezos ruthlessly built Amazon into the titan it is today, along with some fascinating details of his personal life, read the full Businessweek story or check out Stone’s book, The Everything Store: Jeff Bezos and the Age of Amazon.